Larger Women can do Pilates too. 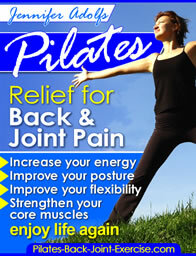 I attend Pilates at my local gym where the teachers also teach other classes as well and all have super fit bodies. I am finding it hard to relate to some of the cues because I carry extra weight around my middle (menopause). For example, 'zipping up your skinny jeans', 'scooping your tummy in'. No alternatives are given and I wondered if you may have some advice as I don't like to ask the teachers there. I think I could gain more from the classes if I related to cues which were meaningful to me, as someone who is not super slim. I have some larger women who have developed very good body awareness from Pilates and I am so glad you are sticking with it and not feeling intimidated by the class or "very fit" instructors. This is a good lesson for me as well when I cue my classes to remember not everyone "gets" the same cues. > I like to use bony landmarks in the body(as everyone has these and can relate) for students to imagine like: Your pelvic triangle is made up of the hip bones and pubic bone, "Imagine bungee cords running from each of these points and you are trying to tighten those cords bringing the points closer together. > Or, "Imagine your sitz bones at the base of the pelvis bringing them up and closer together"
> Or, bringing the pubic bone and tailbone closer together, cinching up those muscles. These cues should all help you develop your deeper pelvic floor muscles and, in turn, help to support the back and pelvis.